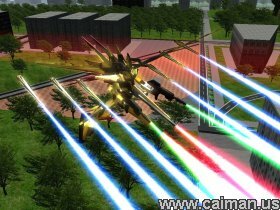 Caiman free games: Bootfighter Windom XP SP-2 by Y. Kamada. This is the best robot action game I have ever played in my whole life. 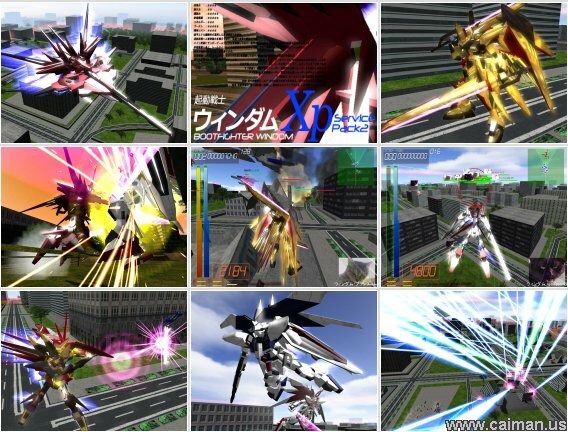 It may look similar to Gundam: Renpou VS ZAFT released on PS2, but after playing this game, you might find that BootFighter controls and plays even better. Double tap Arrow Keys: Perform a short dash known as "step"
Double tap Z: High speed turbo boost. Controllable with Arrow Keys. C: Main Sub Weapon, mostly beam sword. Notice that some machines may not have a melee weapon; they may have a long-range weapon equipped on C button instead. Every weapon can perform charge attacks. Online Battle Mode - An amazing online mode. Any of the above game modes are playable. Supports a maximum number of players of 60(30vs30). 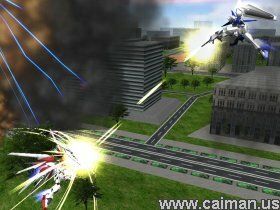 Very good for mecha fighting fans, I think this is one of the best free 3D Mech games only if it wasn't for the lag but everything is else is great. Mirror download EU (install) 56,3 MB. Mirror download AU (install) 56,3 MB.